Reliable, extremely durable and uncomplicated to use, the Midmark VetAssure range of S class veterinary sterilizers come in a range of sizes to suit your requirements. Featuring a sleek Italian design to enhance the look of your surgery, the VetAssure range retains easily wipe-able surfaces and optional data capture facilities for effortless record keeping. 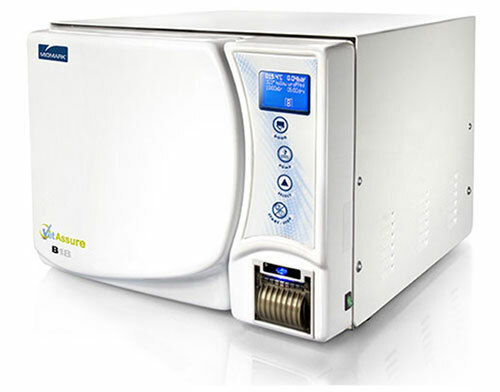 Thanks to the cutting edge research and development of our talented and experienced R&D engineers, all Midmark VetAssure S Class sterilizers are now able to achieve even more rapid cycle times with our Steam Injection technology. Available in either a standard 18L chamber, or a longer chambered 23L for larger veterinary practices and/or the sterilization of larger instruments, we have something to suit all practice needs and requirements. We also offer a variety of flexible water solutions to comply with your requirements. 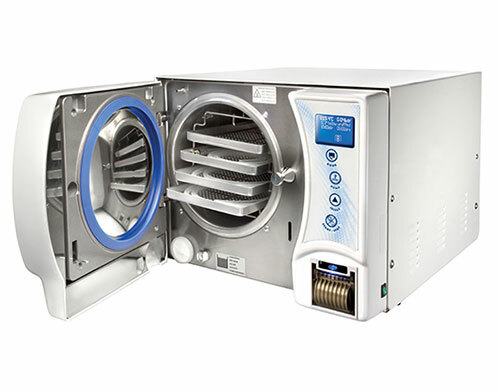 All our sterilizers are manufactured to EN 13060 and CE marked in accordance with the Medical Devices Directive.